I will be appearing at TCAF, The Toronto Comics Arts Festival, this weekend May 13-14. 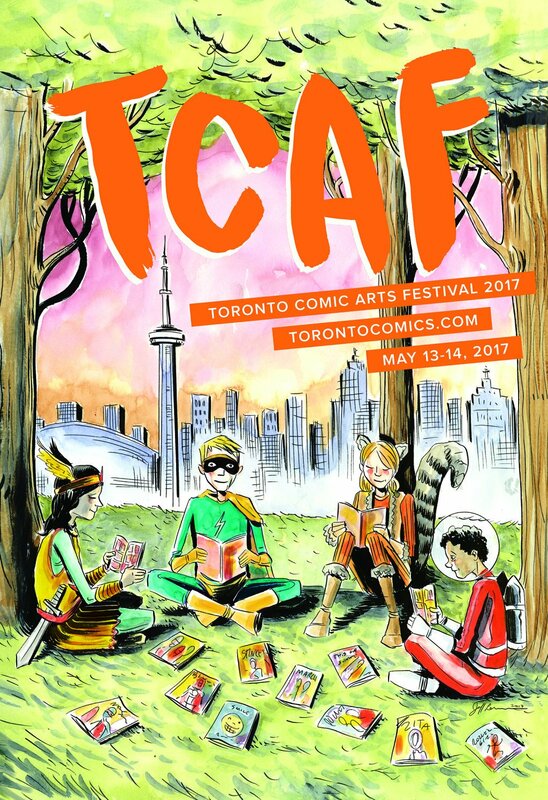 I'll be set up at THE MASONIC TEMPLE at 888 Yonge Street in downtown Toronto, across from the Reference Library along with many other Image Comics creators. I also did one of the official posters for the show this year (above) and will be signing and selling books, prints, original artwork form my new book Roughneck, and Descender T-Shirts. There will also be a SECRET PATH spotlight panel with me SUNDAY at 4pm at Forest Hill Ballroom, Marriott Bloor-Yorkville.